Etnies Scout navy gold - high-quality summer shoe with a good fit and modern look, as well as textil support from the laces up to behind the heel. 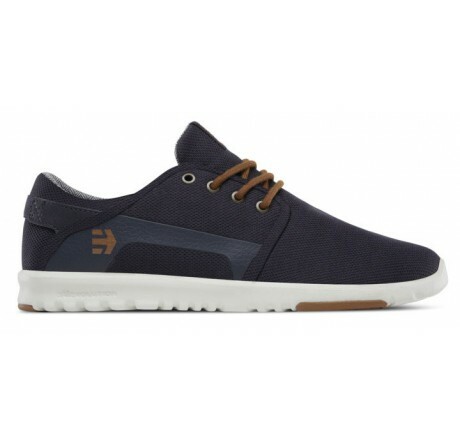 The new Etnies Scout navy gold is a super light and airy fabric summer shoe with a good fit. From the shoelaces to the heel, the shoe has been sewn with double textile to guarantee a higher stability and a longer life.